Mungo designed and programmed this WordPress site for The ChildTrauma Academy. The client can maintain all content on the backend, including updating the latest news, featured products and more. 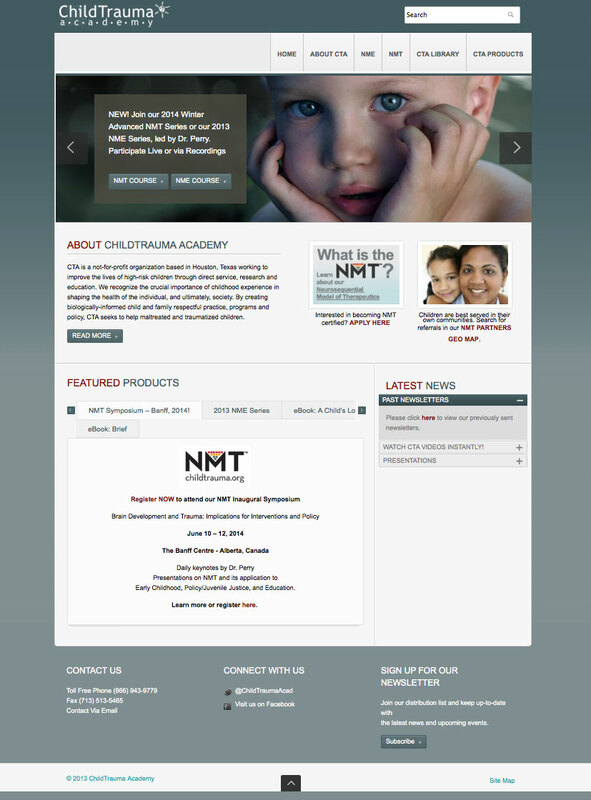 Mungo designed and programmed this WordPress site for The ChildTrauma Academy.